La Cuesta Tennis Club is a wonderful planned unit development (PUD) located near the Huntington Beach and Fountain Valley border at Ellis Avenue and Newland St. La Cuesta Tennis Club is conveniently located near 5 Points Plaza, local restaurants and shopping, Lambert Park (which is right around the corner) as well as the beach which is approximately 3 miles directly down Newland. Search La Cuesta Tennis Club homes in Huntington Beach here. La Cuesta Tennis Club was built in the mid to late 70’s and is made up of 56 attached single family homes. 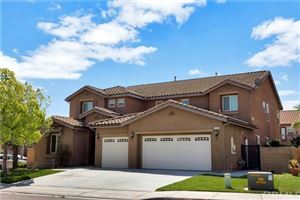 Although a lot of people refer to this community as townhomes, this properties are classified as Single Family Homes on Title. La Cuesta Tennis Club does offer a few different floor plans ranging from a 3 bedroom /2 bathroom with 1,370 sq/ft of living space to a 4 bedroom / 3 bathroom with 1806 sq/ft of living space. All homes in La Cuesta Tennis Club have attached 2 car garages and large patios perfect for enjoying the beautiful Huntington Beach weather. La Cuesta Tennis Club on-site amenities include a Clubhouse, BBQ Area as well as a lighted tennis court. La Cuesta Tennis Club does have a monthly HOA of $360/month which covers these amenities as well as the exterior maintenance, common area, water, trash and basic cable for each unit. 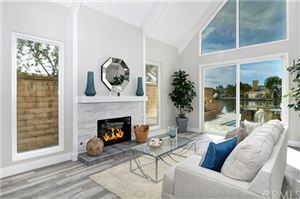 If you are considering purchasing in Huntington Beach and would like more information about La Cuesta Tennis Club or any other community in Huntington Beach, please give Huntington Beach Realtor, Jeb Smith a call at 714.376.2711.